Vanessa is a member of our national defenses preparing for a 6 assignment assignment which will take her away from her Arlington, VA, home from 6/15/2019 – 12/23/2019. Vanessa is hoping to find a PACT foster who will give her kitty, Talullah, all the love and attention she needs while Vanessa is away. 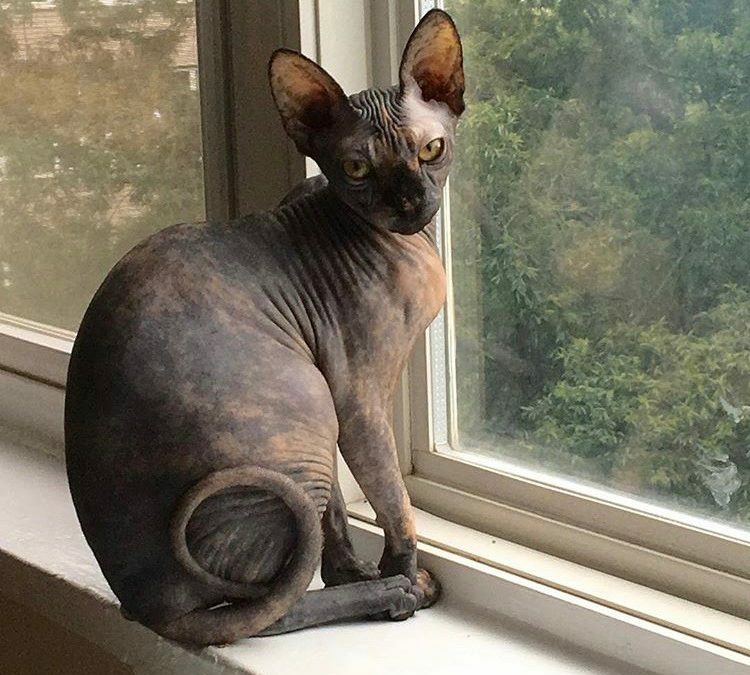 Talullah is a 3 year old spayed female Sphinx cat. She’s about 12lbs and up to date on her vaccinations. Talullah has a lovely personality, and when she’s not sleeping the day away, she loves to be in a lap or under a blanket soaking up her person’s warmth. She can be vocal when she wants attention, and can be playful too! Talullah has never lived with other animals, and Vanessa is hoping to find her a foster home without any other pets. If you are interested in fostering wonderful pets like Talullah, please fill out a Foster Family Application. If you are interested and have already completed your Foster Application, please email info@pactforanimals.org and let us know!